Administrative Law Judge (ALJ) Glynda B. Gomez, Office of Administrative Hearings (OAH), heard the above-captioned matter in Lancaster, California on March 3, 4, 5, 6, and 7, June 18, 19, 20 and 23, and July 15, 2008. Telephonic closing oral argument was heard on July 16, 2008. The record was closed and the matter submitted on July 16, 2008. Student (Student) was represented by his paternal grandmother who is also an attorney. Student’s mother (Mother) was present a portion of each day of the hearing. Student’s father (Father) was not present on June 18, 19 and 20, 2008, but was present for a portion of all other days of the hearing. Lancaster Elementary School District (District) was represented by Stacy Inman, Attorney at Law. Benay Loftus (Loftus), District Director of Student Services, was present each day of hearing. Michele Bowers, Assistant Superintendent, was present for a portion of the day on March 6, 2008. Student filed an initial due process hearing request on July 10, 2007. The District filed a series of Notices of Insufficiency to Student’s successive amended complaints. On October 30, 2007, Student filed the operative complaint, a fourth amended due process hearing request. A continuance was granted for good cause on November 21, 2007. On February 15, 2008, District filed a Motion to Dismiss issues 2, 12 and 13 as delineated in the prehearing conference (PHC) order. The motion was granted as to Issues 2 and 13 on March 3, 2008,1 the first day of hearing, on the grounds that both issues sought to challenge federal law and to assert civil rights claims that were not within OAH’s jurisdiction and on the grounds that issue 13 sought an advisory opinion. Student’s counsel made an oral motion for reconsideration. The ALJ granted reconsideration, but after reconsideration, did not change the ruling. Student’s counsel moved for reconsideration multiple additional times throughout the hearing and reconsideration was denied each time. Would District deny Student a FAPE if IQ tests, the Leiter International Performance Scale-revised, Visual Motor Integration Test, Autism Diagnostic Interview-Revised, ADOS Module One, and Vineland Behavior Scales are not used to determine Student’s unique needs in a reassessment? 2 While the report caption indicates that the evaluation occurred on September 22, 2006, an inconsistent internal reference in the report indicates that the evaluation occurred on September 30, 2006. Regardless, Parents had no recollection of being at Community Therapies on either date. There was no evidence that the minor internal variation of dates was anything more that a typographical error. 3 Student stopped attending school on December 14, 2006, and did not return to school until April 24, 2007. Student’s absence was in part, due to complications from Mother’s pregnancy and Student’s lack of transportation. Mother was placed on bed rest by her doctor in late November of 2006. Against the advice of her doctor, Mother continued to drive Student to school until December 14, 2006. Student’s father had a medical condition which prevented him from driving. Student’s father advised the District in writing that Student would be absent from school from January 4, 2007 to January 11, 2007, as the family prepared for the birth of Student’s sibling. Student’s sibling was born on January 27, 2007. Due to unexpected pregnancy complications, Student’s mother remained on bed rest and was unable to drive until sometime in April of 2007. Transportation was not designated as an issue for hearing in this case and the parties were advised that the ALJ would not make a factual determination about transportation issues. 4 By this time, both the District and Parents had demanded that all communications be in writing and made through counsel. 5 In Larry P. v. Riles (N.D. Cal. 1979) 495 F.Supp. 926, aff’d. in pt., Larry P. v. Riles (9th Cir. 1986) 793 F.2d 969 the District Court issued a permanent injunction preventing the use of IQ testing to evaluate African-American children for placement in classes for the educable Mentally Retarded (EMR) or their substantial equivalents. In 1986, the injunction was modified by settlement to prevent the use of IQ tests to evaluate African-American children referred for any special education assessment, after California banned the EMR category of special education eligibility. (Crawford v. Riles (9th Cir. 1994) 37 F.3d 485, 486.) In Crawford, the plaintiffs were learning disabled African-American children who were not part of the original Larry P. litigation, but sought to have IQ tests administered to them. The District Court found that they were not adequately represented in the Larry P. class action, and vacated the 1986 modification, leaving intact the original injunction. The Ninth Circuit affirmed, finding that the original inquiry in Larry P. was into the disproportionate number of African-American children in EMR classes, and the use of IQ tests generally. 6 Mother did visit a general education headstart class at Windward elementary school where one of her relatives attended class. 2. Did the District deny Student a FAPE by not permitting Student’s parents to add information to Individualized Education Program (IEP) documents during the April 16, 2007 and June 13, 2007 IEP meetings? 3. Was Student denied a FAPE if parent did not provide prior written consent to an occupational therapy assessment by Community Therapies in September 2006? 4. Did District deny Student a FAPE by not providing occupational therapy services from September 2006 to July of 2007, and if denied a FAPE, is Student entitled to compensatory education? 5. Did District deny Student a FAPE by not offering in the June 13, 2007 IEP Extended School Year (ESY) placement and services for summer of 2007? 6. Did District deny Student a FAPE by not having a Joshua Elementary School (Joshua) representative at the June 13, 2007 IEP meeting and not permitting Student’s parents to visit Joshua prior to the proposed transfer of Student? 7. Did District deny Student a FAPE by not having a nurse or doctor present at the April 16, 2007 and June 13, 2007 IEP meetings? 8. Did the District deny Student a FAPE by not conducting a new speech and language assessment? 9. Did the District deny Student a FAPE by not offering adequate speech and language services in the April 16, 2007 and June 13, 2007 IEPs? 10. Did the District deny Student a FAPE by failing to provide the speech and language services set forth in the April 16, 2007 and June 13, 2007 IEPs? 11. Did District deny Student a FAPE by failing to consider the independent assessments provided by Student? 1. Student is a six-year-old boy residing within the boundaries of the District who at all relevant times was eligible for special education under the categories of autism and mental retardation. Pursuant to OAH’s order of August 29, 2007, granting Stay Put (Stay Put Order), Student is currently placed in a Special Day Class (SDC) preschool classroom four mornings a week for three hours a day at the Lincoln Elementary Early Education Center. For three hours each of the four afternoons, he attends the Headstart preschool program on the Lincoln Elementary school campus. 2. Student is a multi-racial child of multi-ethnic descent. His mother is of African American and American Indian descent. Student’s father is Caucasian of Ashkenazi Jewish and Italian descent. 3. Student’s educational program, category of eligibility for special education and the appropriateness of District’s June 14, 2006 multi-disciplinary assessment were previously the subject of an OAH Decision in consolidated Case Nos. N2006040780 and N2006080084 (First DPH). The First DPH hearing was conducted October 16, 2006 to October 20, 2006. The record was closed on November 9, 2006, and a Decision was issued on December 8, 2006 (Decision). In the Decision, ALJ Stella Owens-Murrell determined that Student’s eligibility category was not appropriate and should have included autism as well as mental retardation. Nevertheless, she determined that the IEP offers of placement and services contained in Student’s August 9, 2005, November 4, 2005, April 21, 2006, June 16, 2006 and September 13, 2006 IEPs were designed to address Student’s unique educational needs, were reasonably calculated to provide him with some educational benefit, and offered appropriate placement in the least restrictive environment and therefore constituted FAPE. She also determined that District’s June 14, 2006 multi-disciplinary assessment was appropriate and, accordingly, Student was not entitled to an Independent Educational Evaluation (IEE) at public expense. 4. On December 14, 2006, Parents were notified by their lawyer that the District would implement the September 13, 2006 IEP that had been determined to be appropriate in the First DPH. Parents were also notified of the upcoming implementation directly by District in writing on January 2, 2007. Pursuant to the notification, Student would cease enrollment in the state Headstart preschool afternoon program. The September 13, 2006 IEP, which had been determined to offer FAPE, provided that Student remain in an SDC preschool class four days per week, three hours per day with a special circumstances instructional assistant. That IEP also provided for speech and language direct services two times per month for 15-minute sessions and speech and language collaboration four times per month for 15-minute sessions. All services were to be rendered in the SDC class. Student was also to be given ESY services for 20 days. He was to be mainstreamed for twenty minutes per day for socialization and self-help/independent living skills. 5. It is undisputed that Student was the subject of an OT assessment on September 22, 2006. At the time of the assessment, District utilized Community Therapies, a non-public agency, to provide all of its OT assessments and services. Each time an assessment of a student was required, the District’s Board of Education had to consider and approve a contract for the assessment of the particular student. After approval, a contract was forwarded to Community Therapies and Community Therapies would then contact the student’s family directly to arrange an appointment for the OT assessment. In the case of Student, the District’s Board of Education approved the OT assessment contract with Community Therapies. On June 22, 2006 and again on July 31, 2006, District sent letters to Student’s address of record advising Parents of the District’s Board of Education’s approval of Student’s OT assessment and advising Parents that someone from Community Therapies would contact Parents to arrange an appointment for the assessment. 6. According to Community Therapies and District records, Student’s assessment was first scheduled for August 9, 2006 at the Community Therapies office in Lancaster, but Student failed to appear for the assessment on the scheduled date and time. Student was next scheduled for OT assessment on September 15, 2006 at 2:30 p.m. Mother called the District Student Services Office at 2:45 p.m. that day from her cellular telephone to request directions and the address of the OT assessment. Mother told the Student Services Secretary, Lynn Shahnazi (Shahnazi) that she was late for what she thought was a 2:30 p.m. appointment for an OT assessment. Mother told Shahnazi that someone had called her with the date, time and location of the assessment, but that she could not remember where she had written the information. Shahnazi advised Mother that Community Therapies handled the OT assessments for District and provided the telephone number and address to Mother. Community Therapies records indicate that Student arrived 40 minutes late on September 15, 2006. Due to the tardy arrival, the OT assessment was not conducted that day. Instead, the OT assessment was rescheduled to September 22, 2006. 7. There was no evidence that an OT assessment plan was ever provided to Parents or that Parents ever provided written consent to the OT assessment. However, it is undisputed that Parents wanted Student to receive an OT assessment and OT services. To that end, Parents completed a Community Therapies Health History form on September 15, 2006, and returned it to Community Therapies. According to Father, the form was completed partially in his handwriting and partially in Mother’s handwriting. Thus, Parents indicated their consent to the OT assessment. 8. Community Therapies records do not indicate whether Parents or someone on their behalf brought Student to the assessment on September 22, 2006. Father produced time records from his employer proving that he was at work for eight hours on September 15, 2006 and September 22, 2006. Mother does not remember ever taking Student to Community Therapies. However, she admitted that her memory of this period of time was not clear. It is undisputed that Student did go to Community Therapies and was assessed by OT Robert Wertz (Wertz) on or about September 22, 2006.2 Wertz prepared a report of his assessment of Student. 9. District’s procedure for handling OT assessments was, at best, confusing and chaotic at the time. According to Donna Parks-Nigus (Nigus), one of the two people responsible for handling OT services at that time, District Board of Education approval was required each time a contract was needed to assess a student at Community Therapies. District did not employ any OTs and contracted all of its OT assessments and services out to Community Therapies. The evidence indicated that between September 2006 and December 2006, Community Therapies was understaffed for the number of referrals it received and was slow to process and complete reports of OT assessments. District did not have an effective system in place to monitor the progress of OT assessments or reports at that time. The system relied on the case carrier, in this case the special education teacher, to notify the OT services office if a report was not provided on time. In this case, having received an invoice for services, but not an OT assessment report, Nigus called Community Therapies on December 19, 2006 and asked for the status of the report. Community Therapies records indicated that Wertz was notified that District had called about the missing report. District finally received the OT assessment report on January 13, 2007. No explanation was given for the three and a half month delay between the assessment and delivery of the report. 10. On March 14, 2007, early childhood education coordinator Diane Sasaki (Sasaki) sent an invitation to Student’s Parents to an April 16, 2007 IEP meeting to focus solely on the Community Therapies OT assessment conducted by Wertz. The April 16, 2007 IEP meeting was an addendum IEP meeting to the September 13, 2006 IEP that had been determined to offer FAPE in the First DPH. 11. Parents contended that they did not know an OT assessment had been completed, but agreed to attend the April 16, 2007 IEP meeting. At the time of the meeting, Student had been out of school for four months.3 Present at the meeting were school psychologist Victoria Gluck (Gluck), District representative Loftus, special education teacher Ellen Avol-Law (Avol-Law), District speech and language pathologist Bonita Hembd (Hembd), Community Therapies OT Wertz, District counsel Carol Grogan (Grogan), Mother, Student’s maternal grandmother and paternal grandmother/attorney. Neither District nor Parents invited a physician or nurse to the April 16, 2007 IEP. Parents first received a copy of the OT report from the September 22, 2006 OT assessment at this IEP meeting. 12. At the April 16, 2007 IEP meeting, Wertz presented his report and recommendations to the IEP team. The IEP team added 24 one-hour sessions of school-based OT services and three OT goals to the IEP. At the time of the April 16, 2007 IEP meeting, Student had been out of school for four months. Parents consented to the OT services in the April 16, 2007 IEP. 13. On March 13, 2007, Student’s special education teacher Avol-Law sent a proposed student assessment plan and an invitation to a kindergarten transition IEP meeting to Parents. The standard kindergarten assessment plan called for a review of records relating to preacademic/academic achievement, social adaptive behavior, communication development, psychomotor development, medical, health and development and alternative assessments to be conducted by a school psychologist, special education teacher, speech/language pathologist, school nurse and OT. The assessment did not have provision for a cognitive development assessment. According to Avol-Law, Intelligence Quotient (IQ) testing was not used in kindergarten transitions assessments. Typically, the assessment consists of a review of records. The parents never returned the assessment and Avol-Law considered that a rejection of the kindergarten assessment. 14. On March 15, 2007, Parents, via their attorney, requested a new comprehensive assessment of Student and a new IEP. The letter written by Parents’ attorney specifically requested that Student be assessed as a “mixed race child” and indicated that Parents “request and consent to IQ testing in determining Student’s current level of functioning in all areas.” The letter further advised that Student was not in school due to his mother’s pregnancy complications and medical restrictions. The letter advised that regional center had continued potty training and discrete trial training while Student was out of school. The letter also requested that the District’s assessments be conducted at Student’s home because his mother was homebound. 15. As previously discussed, an IEP meeting was held on April 16, 2007 to specifically discuss the OT assessment. During this meeting, however, District and Parents discussed their March 15 request for a new comprehensive assessment. The IEP notes stated that District team members did not feel that a new comprehensive assessment was needed but ultimately agreed to comprehensively assess Student in all areas of suspected disability. Additionally, Parents provided a written rebuttal to be attached to the April 16, 2007 IEP. In the rebuttal, Parents stated that they did not decline a kindergarten transition evaluation. Parents stated that they did not consent to the “Student Assessment Plan” that only included a review of records and excluded standardized testing. Instead, the Parents wanted an assessment of Student as a “mixed race” child. 16. On April 24, 2007, Gluck sent a new assessment plan to Parents. According to the assessment plan, Student was to be assessed by a school psychologist, special education teacher, school nurse, speech/language pathologist and occupational therapist and Student’s parents were to be part of the assessment team. Student was to be assessed in the areas of preacademic/academic achievement, social adaptive behavior, communication development, psychomotor development and medical/ health development. The assessment was to include both a hearing and vision screening. The plan indicated that standardized Intelligence Quotient (IQ) measurement would not be used and alternative assessment procedures would be used. This was to be both a triennial and kindergarten transition assessment. Standardized IQ measures were not used by District for any child’s kindergarten transition. Such measures were occasionally used for older elementary school age children in annual or triennial evaluations. With respect to Student, Loftus related that District would not use a standardized IQ measure because of his young age, inattention, and African-American ancestry and his special education eligibility category of mental retardation. As noted above, Student also has been determined to be eligible for special education under the category of autism. 17. Mother contacted the District on May 2, 2007 and May 4, 2007, seeking clarification of certain aspects of the assessment plan including whether standardized cognitive testing would be utilized, whether a general education teacher would be part of the assessment team and whether adaptive physical education (APE) would be included in the assessment. District representatives were not able to answer Mother’s questions. On May 6, 2007, Student’s attorney modified the assessment plan of April 24, 2007, adding “Race-Mixed” as a racial designation, APE as an assessment category, and noted that alternative assessment were not acceptable “if race-based exclusion” was utilized. According to Loftus, District policy and advice of its legal counsel did not permit consideration of IQ information for children of African-American descent when mental retardation was considered as a category of eligibility for special education and related services. Father signed the form and checked the box indicating, “Yes, I give my permission to conduct this assessment.” However, he wrote in: “Limited permission; see attached letter dated 5/6/07.” The letter of May 6, 2007, was written by Student’s attorney and expressed Parents’ disagreement with alternative cognitive developmental measures and objected to what the attorney described as “race-based exclusions of testing material.” The District viewed this as a counter offer to its offer to assess Student. 18. On May 16, 2008, District’s Counsel Carol Grogan (Grogan) responded to the May 6, 2007 letter.4 According to Grogan’s letter, District agreed to perform an APE assessment, but did not have clear consent to proceed with the comprehensive assessment. District did not consider Parents revised version of the assessment plan to be clear permission to proceed. “I/ We give consent for assessment and testing in all areas of suspected disabilities for [Student] by the Lancaster School District. This consent includes authorization for all standardized and cognitive testing, which includes IQ testing materials. 21. On June 11, 2007, District’s counsel wrote advising Student’s counsel that the document provided by Parents in the letter of May 6, 2007, did not satisfy the requirement for the signed assessment plan. Accordingly, since the District members of the team did not believe that reassessment was necessary and reassessment was only being offered because Parents requested it, a signed Student assessment plan without alterations was required. District’s counsel wrote: “If the family would like the comprehensive assessment to go forward with Alternative Assessment, they should sign the enclosed form and return it.” Further, she stated that the assessors would select the assessment tools. She indicated that even if an assessor considered IQ testing for someone of [Student’s] age and what is considered best practice, the prohibitions contained inLarry P. v. Riles 5 would be applicable. At that time, she enclosed an assessment plan dated June 11, 2007, which included alternative assessments and adaptive physical education. 22. On June 22, 2007, District counsel again wrote to Student’s counsel advising that a signed assessment plan was still needed for a comprehensive assessment. She stated that the altered form and the consent form drafted by Parents would not suffice. She also reiterated that the assessment tools would be selected by the individual assessors and would not include IQ testing. This letter indicated that alternative assessment batteries would be used for the cognitive assessment portion of the comprehensive assessment. According to Grogan, the assessment, “may include: observations, review of work samples, parent/teacher reports, specific tests of reasoning, presentation of memory and learning tasks over trials.” She also indicated that the assessment would use formal and informal tools. The letter provided a listing of the potential tools that assessors might use. Parents never signed the assessment plan. 23. An annual review IEP meeting was held on June 13, 2007. Present at the meeting were administrative designee Loftus, general education teacher Susan Mathew (Mathew), special education teacher Avol-Law, Community Therapies OT Wertz, Speech and language pathologist Hembd, Parents, paternal grandmother/attorney, District counsel Grogan, School Psychologist Gluck, and Early Childhood Education coordinator Sasaki. Neither District nor Parents invited or requested a doctor or nurse to attend the June 13, 2007 IEP meeting. 25. Some IEP participants brought draft goals with them to the June 13, 2007 IEP meeting for discussion. There was no evidence that District personnel pre-determined Student’s IEP before the meeting. Instead, the evidence demonstrated that Mother actively participated in the meeting. Both Hembd and Avol-Law noted that Mother participated in the drafting of goals. Mother drafted a motor-skills goal and edited the goal regarding the drafting of straight letters and capital letters. Additionally, the meeting notes and goals reflect concerns expressed by Parents and their attorney. 26. Parents provided independent assessments and reports from Dr. Harold Bass (Bass), Donald Gallo (Gallo), Dr. Alice Lim (Lim), Dr. Y. Susan Chung (Chung), Marsha Aligo (Aligo) and Lisa C. Sandoval (Sandoval) of Dynamic Therapies. The reports were considered and discussed at the June 13, 2007 IEP. Portions of the documents were redacted by District to mask IQ and cognitive data because Student was of partially African-American descent, receiving special education and related services under the eligibility category of mental retardation as well as Autism and his education placement was at issue. Loftus and Sasaki provided copies of the reports and assessments to the team members before the IEP. 27. On October 26, 2006, after the First DPH, but before receiving the decision, Parents consulted with Bass, a Kaiser Permanente (Kaiser) geneticist. Parents were concerned about Student’s well-being and that of his unborn sibling due in January of 2007. On November 14, 2006, Bass advised Parents that Student had the full form of Fragile X Syndrome. Fragile X Syndrome is an inherited chromosomal abnormality in which a small segment of deoxyribonucleic acid (DNA) is repeated many times on a chromosome. When, as here, there are greater than 200 repeats, the individual is considered to have the full form of Fragile X. The effects are both developmental and physical and effect cognitive, social and developmental areas. Mental retardation and autism are frequent components of Fragile X Syndrome. Some physical indications of Fragile X Syndrome are large head size, prominent jaw, elongated and/or protruding ears, long faces, joint laxity, larger testes, heart defects, mitro-valve prolapse. Bass did not find many of the typical physical characteristics of Fragile X in Student. Bass noted Student had severe speech and language delay with no intelligible speech. He also noted that Student was very active and had behavior challenges even when present with three adults. Bass observed mild joint laxity. Bass opined that complete developmental assessments of Student on a regular basis would be beneficial. Bass prepared a report of his findings. 28. On January 19, 2007, Father and Student’s grandmothers consulted with Lim, a board certified developmental pediatrician with Kaiser. Lim compiled a developmental history of Student’s motor, social/emotional, language and daily living skills development after interviewing Father, conducting a physical examination and clinically observing Student. According to Lim, Student was autistic with developmental delay. She observed Student to have no joint attention skills. She also opined that Student might have co-existent Attention Deficit Hyperactive Disorder (ADHD). Lim recommended an Applied Behavioral Analysis (ABA) home program, parent training, and occupational therapy. She did not address speech and language issues because they were the subjects of a separate assessment by other Kaiser professionals. 29. On January 29, 2007, Father, Student’s aunt and paternal grandmother, consulted with Aligo, a licensed speech pathologist employed by Kaiser. Aligo was unable to perform standardized testing of Student due to his lack of attention. Instead, she conducted an interview with Father and paternal grandmother, observed Student and interacted with Student during play. Aligo found Student to have severe speech and language delay. She estimated the delay to be approximately two years. She recommended that Student continue with school-based speech therapy. Aligo assessed Student again on March 3, 2008. She found that Student had not made any significant functional progress and recommended ongoing speech and language treatment in an educational/developmental setting. She did not make a specific recommendation for an amount or duration of therapy. At hearing, Aligo recommended that Student received two 30-minute speech and language therapy sessions per week. She recommended that one session include pragmatic therapy incorporating playground or classroom teaching Student ways to interact with others. According to Aligo, Kaiser usually only provides speech therapy for medical needs. Student’s speech delay was not considered to be within the category of medical needs. However, through resolution of legal action, Student did obtain speech therapy services for some amount of time through Kaiser. 30. Dynamic Therapies, a private speech pathology clinic, conducted a speech and language assessment of Student on March 25, 2006. The assessment report was provided to Parents in January of 2007. Sandoval, the assessor from Dynamic Therapies, was not able to conduct formal language testing of Student due to his difficulty communicating and his limited attention. Based upon observation and discussion with Mother, she determined that Student had severe expressive and receptive speech and language delay. She found that expressive language was delayed due to limited verbal output and inability to express his needs and wants clearly. She opined that his fluency, vocal quality and oral motor movements were within normal limits. The report recommended augmentative communication therapy once a week for sixty minutes and an occupational therapy assessment for sensory needs. She recommended that speech and language therapy focus on increasing receptive and expressive language skills and the use of augmentative communication systems such as the Picture Exchange System (PECS), parent training and education. 32. Parents also provided copies of a November 30, 2006 assessment report prepared by Gallo, a clinical psychologist employed by Kaiser. District was already in possession of his February 9, 2004 report that contained details of his testing of Student and his diagnosis of autism. Gallo was critical of District assessors. The focus of his report was to demonstrate that Student was autistic and not mentally retarded. Upon inquiry, he admitted that he had no direct knowledge of District’s assessments or conclusions and relied solely on the information provided to him by Parents for his conclusions about District findings. When he appeared at the hearing, he had not been advised that Student’s category of eligibility had been changed to include autism per the Decision in the First DPH. Gallo diagnosed Student with autism based upon a history of Fragile X Syndrome, developmental delays, speech and language delay, lack of social interaction, and his observation of Student. His diagnosis was also based on scores on the Autism Diagnostic Interview-Revised (ADI-R) and Autism Diagnostic Observation Schedule (ADOS) instruments that he and Susan Bassett (Bassett), a licensed clinical social worker employed by Kaiser administered to Student. The report did not make recommendations for treatment or services for Student. At hearing, Gallo indicated that Student needed extensive speech therapy, assistance with sensory integration and would benefit from ABA discrete trial training. Gallo did not diagnose Student with ADHD because his inattention was better accounted for by the autism diagnosis. Gallo did not consider Student to be lacking in vitality. Gallo opined that speech therapy twice a month in fifteen minute increments was not sufficient to meet Student’s needs. 33. At the June 13, 2007 IEP meeting, the District offered placement in the Joshua SDCSH five days a week at Joshua with mainstreaming in a general education setting for eleven percent of Student’s day. The District team members offered speech and language direct services six times per month for 15-minute sessions in the class room, occupational therapy provided by Community Therapies on the school campus for one hour each week and a full day one-to-one aide to assist Student. The IEP included accommodations and modifications for Student including minimization of distractions and an alternative creative curriculum and specific instructional strategies. The IEP contained a description of Student’s present levels of performance and goals in the following areas: 1) academics including, reading, math, writing and readiness skills; 2) self care in the area of toileting and dressing; 3) motor skills development in the areas of fine and gross motor skills; 4) social emotional skills in the area of peer interaction; 5) language communication in the areas of expressive and receptive language; and 6) sensory processing. ESY was not offered for the summer of 2007. 34. At this meeting, District offered speech and language services six times a month for 15 minutes per session. The increase in frequency from two to six times per month was recommended because Student had improved his expressive language sufficiently that he could work on and benefit from articulation therapy. Previously, Student did not have sufficient expressive language that articulation therapy would be of much assistance to him. According to Hembd, school-based speech therapy focuses on articulation while the development of expressive and receptive language is part of the special education classroom curriculum. The classroom curriculum is augmented by collaboration between the special education teacher and the speech and language pathologist. District offered speech and language collaboration between the speech and language pathologist and the SDC teacher for 5 minutes per session 6 times per month to assist with the classroom language program. Hembd’s recommendations for collaboration with the special education teacher were designed to address and assist in language development. 35. At hearing, Hembd explained the basis for the District’s offer of speech therapy. Hembd is a licensed speech and language pathologist with more than 30 years of experience. She has ten years of experience as a speech and language pathologist with District. She has administered speech therapy to Student since the fall of 2006. 36. Hembd had not formally assessed Student. Her analysis of Student’s needs came from the pre-existing 2006 multi-disciplinary assessment, her own experience and observations of Student and review of independent assessments reports. Hembd also reviewed and considered Aligo’s report of January 29, 2007. Hembd agreed with Aligo’s assessment that Student had a severe language delay. According to Hembd, Parents requested one hour per week of speech therapy but that recommendation was not in Aligo’s report. Although she read the Dynamic Therapies evaluation dated March 2006, Hembd considered it to be too old to be useful in her analysis of Student’s then-current needs. 37. Given Student’s overall program and his attention span, Hembd recommended, and the IEP team offered, speech therapy in the classroom. Hembd opined that offering the therapy in the classroom would help Student generalize skills and utilize them in the classroom. According to Hembd, the therapy could have been conducted on a pullout basis if Student was too distracted in class. Hembd opined that 15-minute increments for articulation exercises were all that Student could handle. He did not have the concentration level to attend to lengthy sessions. She also felt that the collaborative time with the teacher would serve Student’s needs. She was not able to provide the increased services offered in the June 13, 2007 IEP because Parents did not agree to them. According to Hembd, Parents were advised at the June 13, 2007 IEP meeting that, Parents could accept the recommendation for speech and language services and object to the frequency, if they wanted more speech therapy. 38. The June 13, 2007 IEP did not offer ESY because District utilized the 20-day ESY program primarily for students that had problems with recoupment and retention of skills. District team members did not believe Student had such problems. As discussed in footnote 3, Student had been out of school for four months. He recouped the skills lost over the four-month absence in one month. Student received intensive services from the regional center including a one-to-one aide during the absence in addition to services provided through Kaiser. According to District policy, other factors that may be considered by the IEP team, in determining whether or not a student requires ESY include whether a student is at a critical point of instruction, is meeting IEP goals of self-sufficiency and independence from care takers and whether or not successive interruptions in educational programming would result in Student’s withdrawal from the learning program. The team may also consider the severity of a student’s disability, educational support available from parents and overall lack of progress, in its determination of whether to offer ESY. Not attending ESY also meant that OT and speech and language services would not have been provided until school resumed. Although the District team members did not offer ESY for summer of 2007, Student did attend ESY for summer of 2007 and received OT and speech and language services pursuant to the Stay Put Order. 39. Parents did not agree to the goals, services or placement offered in the June 13, 2007 IEP. In a handwritten objection attached to the June 13, 2007 IEP, Parents indicated that they did not agree with the offer because: there had not been a full reassessment of Student; the District failed to provide OT services; ESY was not offered for the summer 2007; the offer of increased speech therapy was still not adequate; and notice was insufficient to visit the Joshua SDCSH because the IEP meeting was held only two days before the end of school; the mainstreaming did not integrate behavior modification with non-disabled peers; and the District has not offered cognitive testing of Student on the assessment plan. Parents indicated that they would file a request for a Due Process Hearing. On July 9, 2007, Student filed his initial request for due process in this matter. 40. During the June 13, 2007 IEP team meeting, Parents learned that Student was not receiving the agreed upon OT services. It is undisputed that OT services did not start until July 30, 2007. 41. District admitted that Student was not provided with, but was entitled to, eight one-hour sessions of school-based OT during the period of April 24, 2007 to July 30, 2007. District did not hold an IEP team meeting within the required 60 days from consent to the assessment. Student left school on December 14, 2006, and did not return until April 24, 2007. Student also missed approximately three sessions during ESY in July of 2007. District provided Student with nine make-up sessions of school based OT. The make-up sessions were on August 1, 2007, August 8, 2007, September 26, 2007, October 3, 2007, October 10, 2007, January 15, 2008, January 16, 2008, January 28, 2008 and January 30, 2008. Student missed a total of 14 OT sessions to which he was entitled. Although District provided 9 make-up sessions, five sessions are still owed to Student. 2. Parents contend that Student was denied a FAPE because his disability category was not changed to include the eligibility category of “Other Health Impaired”7 in consideration of his medical diagnosis of Fragile X Syndrome. District contends that in order to change an eligibility category, it must conduct an assessment of Student and Parents refused to sign District’s assessment plan. Accordingly, District was not able to consider the request to change or add an additional eligibility category. District further contends that the addition or change of eligibility category is irrelevant because once Student is determined to be eligible for special education and related services, District must devise a program which addresses his unique educational needs. Here, District contends that it has offered a FAPE addressing all of Student’s unique needs regardless of the special education eligibility label or category assigned to Student. Issue Two:Did the District deny Student a FAPE by not permitting Student’s parents to add information to IEP documents during the April 16, 2007 and June 13, 2007 IEP meetings? 9. Parents contend that District did not allow them to add information to the April 16, 2007 IEP and June 13, 2007 IEP during the IEP meetings, thereby depriving Student of a FAPE. District contends that Parents fully participated in the IEP meetings, changes were made to the goals in the IEP based upon Parents’ expressed concerns, summaries of their concerns were included in the IEP notes and Parents’ written rebuttal and objections were attached to each of the IEPs. 11. UnderRowley, supraat 179, a challenge to an IEP requires resolution of two issues: (1) whether the school district complied with the procedural requirements of IDEA, and (2) whether the challenged IEP was reasonably calculated to enable the child to receive educational benefits. If the school district’s program was designed to address student’s unique educational needs, was reasonably calculated to provide some educational benefit, and comported with the IEP, then the district provided a FAPE, even if student’s parents preferred another program and even if his parents’ preferred program would have resulted in greater educational benefit. Issue Three:Was Student denied a FAPE if parent did not provide prior written consent to an occupational therapy assessment by Community Therapies in September 2006? 14. Parents contend that Student was denied a FAPE because Community Therapies conducted an occupational therapy assessment of Student in September of 2006 without Parents’ written consent. District contends that there was written and implied consent to the assessment. District contends that although it could not locate the signed written assessment plan for the occupational therapy assessment, one exists. District further contends that Parents completed Student’s health history forms and transported Student to Community Therapies for the OT assessment, thus, demonstrating their consent. 16. As set forth in Legal Conclusions11 and 12 above, in matters alleging procedural violations, a denial of FAPE may only be shown if the procedural violations occurred which impeded the child’s right to FAPE, significantly impeded the parents’ opportunity to participate in the decision making process regarding the provision of FAPE, or caused a deprivation of educational benefits. 17. Here, Community Therapies is a state certified non-public agency that contracts with District to provide OT assessments and therapies. The OT evaluation was approved by District’s Board of Education. Parents did not sign a written assessment plan for OT assessment. However, they acknowledged that they did want an OT assessment, and services for their child. Parents were aware that the District required an assessment before provision of OT services. According to Community Therapies and District records, Student was first scheduled to be assessed at community Therapies on August 9, 2006, but failed to appear for the assessment. Student was rescheduled for September 15, 2006, at 2:30 p.m. Despite admittedly receiving an appointment reminder call from Community Therapies, Mother called the District Student Services Office at 2:45 p.m. that day from her cellular telephone to request directions and the address for the 2:30 p.m. appointment. Mother could not remember the information nor where she had written it down. Mother was given the address and arrived with Student 40 minutes late. Due to the tardy arrival, the OT assessment was not conducted that day. Instead, the OT assessment was rescheduled to September 22, 2006. Mother did not remember giving consent to an OT assessment, taking Student to an assessment or filling out Student’s history form. Father on the other hand, recognized his own handwriting and wife’s handwriting on the Communities Therapies history form dated September 15, 2006. Parents either drove or arranged for someone to drive Student to the OT assessment which did take place on September 22, 2006. 18. Parents took affirmative steps to have the OT assessment completed by completing paperwork. Parents cooperated with the assessment, filled out a detailed health history questionnaire and presented Student for the OT assessment. Despite the appointment confusion, there were no indications at any time that the OT assessment was conducted against the instructions or wishes of Parents. Issue Four: Did District deny Student a FAPE by not providing occupational therapy services from September 2006 to July of 2007, and if denied a FAPE, is Student entitled to compensatory education? 20. Parents contend that District denied Student a FAPE when it did not provide OT services from the time of the OT assessment on or about September 22, 2006 to July 30, 2007. District admits that it failed to provide eight OT sessions during the period of April 2007 to July 30, 2007. District contends that it was not obligated to provide OT services from September 2006 until an IEP meeting was convened on April 16, 2007, and was not obligated to provide OT services during Student’s four-month absence from school from December 14, 2006 to April 23, 2007. District further contends that no compensatory education is warranted because it provided Student nine make-up sessions of OT services to compensate him for the loss of eight sessions during the period of April 23, 2007 to July 30, 2007. Issue Five: Did District deny Student a FAPE by not offering ESY placement and services in the June 13, 2007 IEP for summer of 2007? 26. Parents contend that District denied Student a FAPE by not offering ESY placement and services for the summer of 2007 in the June 13, 2007 IEP. District contends that ESY was not needed because Student had demonstrated an ability to retain and recoup information over a four-month absence from school. District further contends that ESY services were provided to Student in 2007 pursuant to the Stay Put Order, and, therefore, Student was not denied a FAPE. 28. As set forth in Legal Conclusions 4 and 5 above, in order to provide a student with a FAPE, the district must determine what his unique needs are and then design a program to meet those needs. Districts are not required to maximize a child’s potential. They are merely required to provide a “basic floor of opportunity.” A child’s academic progress must be viewed in light of the limitations imposed by his or her disability and must be gauged in relation to the child’s potential. As set forth in Legal Conclusion 12, above in matters alleging procedural violations, a denial of FAPE may only be shown if the procedural violations that occurred which impeded the child’s right to FAPE, significantly impeded the parents’ opportunity to participate in the decision making process regarding the provision of FAPE, or caused a deprivation of educational benefits. Issue Six: Did District deny Student a FAPE by not having a Joshua representative at the June 13, 2007 IEP meeting and not permitting Student’s parents to visit Joshua prior to the proposed transfer of Student? 30. Parents contend that District denied Student a FAPE by not having a Joshua representative at the June 2007 IEP meeting and not permitting Student’s parents to visit the school before the proposed transfer of Student. District contends that it was not required to have a representative from the proposed placement at the IEP meeting. District further contends that it did offer to make arrangements for Parents to visit Joshua at a mutually convenient date and time either before the end of the school year or during the next school year. Issue Seven: Did District deny Student a FAPE by not having a nurse or doctor present at the April 16, 2007 and June 13, 2007 IEP meetings? 33. Parents contend that District denied Student a FAPE by not having a nurse or doctor present at the April 16, 2007 and June 13, 2007 IEP meetings. District contends that it was not required to have either a nurse or doctor at the IEP meetings. District asserts that had Parents requested the presence of a doctor or nurse, a District nurse was on the school campus and would have been summoned to the meetings. District further contends that Parents did not invite a doctor or nurse to the IEP meetings. Issue Eight: Did the District deny Student a FAPE by not conducting a new speech and language assessment? 36. Parents contend that District denied Student a FAPE by not conducting a new speech and language assessment. District contends that it offered to conduct a speech and language assessment as part of a comprehensive assessment, but parents never provided the requisite consent for the assessment and District was, therefore, precluded from conducting the assessment. Issue Nine: Did the District deny Student a FAPE by not offering adequate speech and language services in the April 16, 2007 and June 13, 2007 IEPs? 40. Parents contend that District denied Student a FAPE by not offering adequate speech and language services in the April 16, 2007 and June 13, 2007 IEPs. Parents believed that Student needed one hour of speech therapy per week to meet his unique needs. District contends that the combination of individual speech therapy and classroom collaboration were sufficient to provide Student with a FAPE. 42. Based upon the information that the IEP team had, and on the expertise and recommendation of Hembd, the June 13, 2007 IEP team offered an increase in speech and language services from two times a month to six times per month for 15-minute sessions. The offer was based upon Student’s inability to pay attention to extended articulation exercises and a collaboration model used by the District to deliver language instruction. According to Hembd, District speech therapy provided by speech and language pathologists focused on articulation. Language development was part of the SDC curriculum. In Student’s case, collaboration between the speech pathologist and the SDC teacher was offered to augment the SDC expressive and receptive language development curriculum. Hembd reviewed independent assessments and observed Student in the classroom and in therapy. From her observation she determined that Student had increased his expressive language skills so as to benefit from additional speech therapy focused on articulation. She recommended an increase in the frequency from two to six times per month, but did not recommend a change in the fifteen minute duration due to Student’s inability to attend to task for extended periods. 43. By all accounts, Student has minimal intelligible speech and a severe delay in expressive and receptive language. Ninety minutes of speech articulation therapy per month and 30 minutes of collaboration per month are not sufficient to give Student an educational benefit or to assist him in assessing the curriculum. Two treating physicians, a psychiatrist, a developmental psychologist, two treating speech therapists and the District’s own speech and language pathologist agree that Student has a severe speech and language delay. Aligo conducted the most recent speech and language assessments of Student and had treated Student. At hearing, she recommended that Student receive two thirty-minute sessions of speech therapy per week. While Hembd’s concerns for Student’s endurance and attention were well founded, she provided no explanation for why speech therapy could not be delivered in short sessions with more frequency. Additionally, the June 13, 2007 IEP did not provide Student any assistance in the area of pragmatics or augmentative communication systems outside of the normal SDC curriculum and the minimal collaboration time provided in the IEP. Here, Student’s need is profound and impacts every aspect of his educational program and daily life. In order to obtain educational benefit and to assist him in accessing the curriculum, his educational program must address the depth of his need in this area and must include assistance in pragmatics, articulation and augmentative communication systems. 46. As set forth in Legal Conclusion 24 above, a district may owe compensatory education to a student when there has been a denial of FAPE. An award of compensatory education must be tailored to the Student’s unique educational needs and the lost educational benefit. 47. Here, to award the equivalent of two thirty-minute sessions of school-based speech and language therapy sessions for the 2007-2008 school year together with any ongoing speech and language therapy would be unduly disruptive to Student’s academic program and would require him to miss large portions of his school day. Accordingly, an award of clinic based speech and language therapy is appropriate. Student was given fifteen minutes of speech therapy twice a month when he should have received four hours per month in increments of two thirty minute sessions per week. District offered six 15-minute sessions of speech and language therapy per month, but Parents rejected the offer despite being advised that they could accept the service and object to the duration and frequency. Student is entitled to compensatory speech therapy based upon a 48-week school year at a rate of one hour per week. Student is entitled to 36 hours of compensatory speech therapy. The therapy is to be conducted in a clinical setting to be utilized whether or not school is in session. Sixteen hours shall be used in pragmatics and may be used in a group therapy at the discretion of Parents. The remaining Sixteen hours are to be used individually for articulation and augmentative communication system training. Issue Ten:Did the District deny Student a FAPE by failing to provide the speech and language services set forth in the April 16, 2007 and June 13, 2007 IEPs? 48. Parents contend that the District denied Student a FAPE by failing to provide the speech and language service set forth in the April 16, 2007 and June 13, 2007 IEPs. District asserts that Parents did not consent to the IEPs thereby preventing District from implementing the services in those IEPs. Issue Eleven:Did District deny Student a FAPE by failing to consider the independent assessments provided by Student? 51. 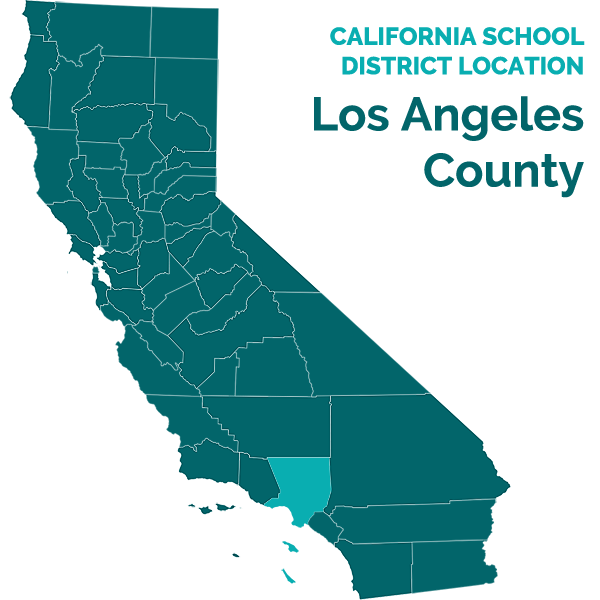 Parents contend that District denied Student a FAPE by failing to consider the independent assessments provided to District by Parents. District contends that all independent assessments were considered. Some assessments were redacted to mask IQ information derived from standardized testing because District policy and legal advice from counsel prohibited the IEP team from considering IQ information pertinent to children of African American descent, such as Student, when mental retardation was a category of consideration at an IEP meeting. 1. District is ordered to provide five additional one-hour sessions of school-based occupational therapy to Student as compensatory education. 2. District is ordered to provide Student with 36 hours of compensatory clinic based speech and language therapy. Sixteen hours shall be given individually and focus on articulation and augmentative communication systems. The remaining 16 hours shall be given either individually or in a group setting, at the discretion of Student’s parents, and shall focus on pragmatic language. 3. District is ordered to add Other Health Impairment to Student’s IEP as an additional category of eligibility for special education and related services. 4. Student’s other claims for relief are denied. Pursuant to Education Code section 56507, subdivision (d), the hearing decision must indicate the extent to which each party has prevailed on each issue heard and decided. Here, District prevailed on issues 1, 2, 3, 5, 6, 7, 8, 10, 11 and, in part, on issue 9. Student prevailed on issue 4 and, in part, on issue 9.